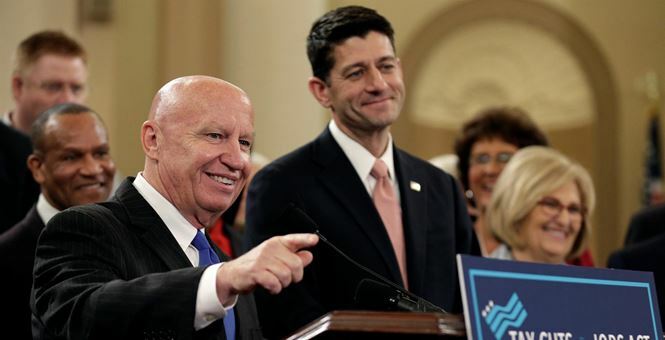 House Republicans released their tax reform bill Thursday morning, turning President Trump's original tax structure plan into legislative reality. Senate Democrats have been telling their constituents that the GOP tax reform plan will increase taxes on most middle class families. It all started when the Democratic Policy and Communications Committee released a report claiming the average tax increase on families nationwide earning up to $86,100 would be $794. Top Democrats like Sen. Kamala Harris (CA) and Bob Casey (PA) ran with the numbers and posted them on their Twitter pages. As the WaPo explains, this talking point was swiped from a document first released from the Democrats on the Joint Economic Committee. In the original report, the committee explains that 8 million households that earn up to $86,100 will see a $794 tax increase. That “nuance was lost” once it got into the hands of the Democratic Policy and Communications Committee, who made it sound as if the tax increase would affect all working-class families. The misconstrued talking point earns the Democrats Four Pinocchios. The WaPo went a step further, noting a few positives of the GOP tax reform agenda. Meanwhile, more than 97 million (80 percent) will receive a tax cut. Doing the math the same way the JEC staff did, we come up with an average tax cut of about $450 for those 97 million households. Marxism: The Key to Health?